***2011 FORD F150 LARIAT CREW CAB *ONLY 86K MILES! *LEATHER INTERIOR**BACKUP CAMERA**RUNNING BOARDS**BED COVER AND MORE!! 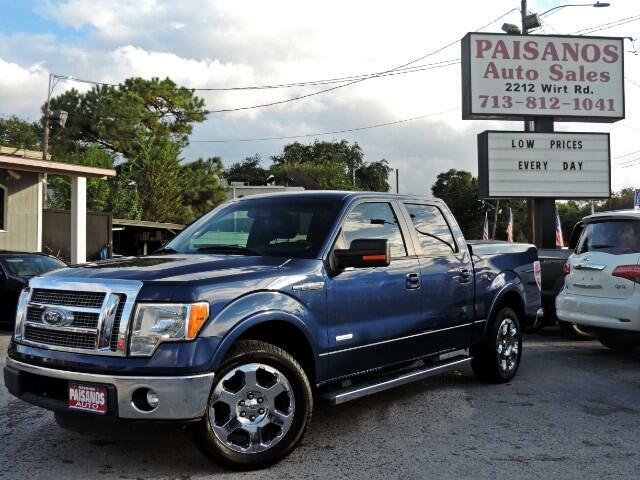 Paisanos Auto Sales is proud to provide another premium auto listing, up for sale we have an incredibly clean, well maintained 2011 Ford F150 Lariat Crew Cab with only 86k miles! This F150 is as clean as they come! Loaded with Backup Camera/Sensors, Leather Interior, Microsoft Sync, Heated/A.C. Front Row Seating, Adjustable Pedals, Steering Wheel Mounted Controls and much more!!! ACCIDENT FREE CARFAX CERTIFIED!! FINANCING OPTIONS AVAILABLE FOR ALL!! SCHEDULE YOUR APPOINTMENT TODAY!! **2011 FORD F150 LARIAT CREW CAB *ONLY 86K MILES! *LEATHER INTERIOR**BACKUP CAMERA**RUNNING BOARDS**BED COVER*LEATHER INTERIOR AND MORE! !